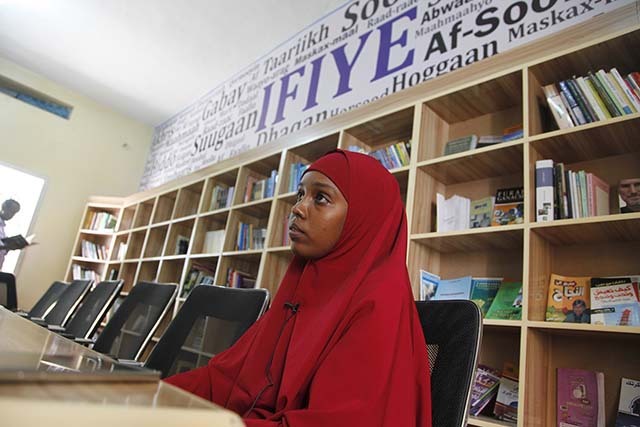 In a country where both the public school and library systems have been decimated, where can young Somalis find outlets for learning? 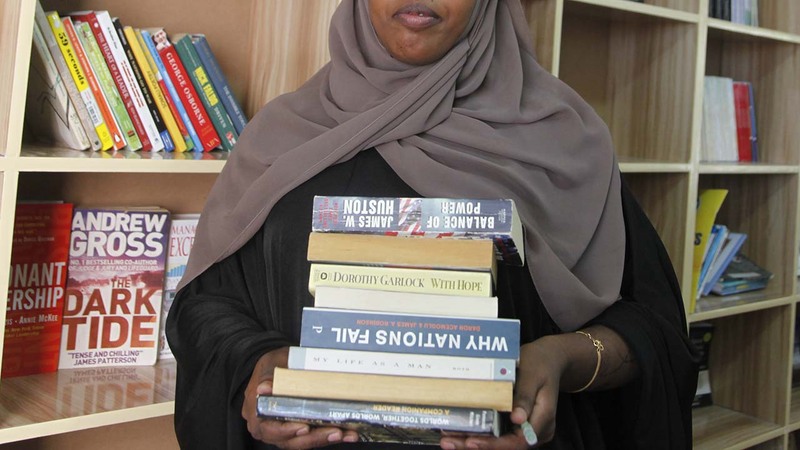 If they’re lucky, they might encounter someone like Ayan Mohamed Ali, a 26-year-old so determined to encourage reading that she co-founded and subsidizes Mogadishu’s first public library in decades. She uses the internet to smooth a path for learners. Ali and friends “used to do debates and awareness programs for the youth” at hotel meeting rooms, she told VOA in explaining Ifiye’s genesis. “We used to talk about entrepreneurship.” Their talk led to action. 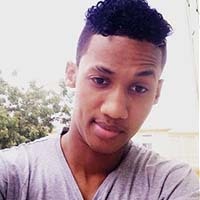 All 10 agreed to regularly chip in 30 percent of their earnings – Ali, a graduate of Gollis University in Somaliland, works at a Mogadishu business center – to rent space and pay for a staff person. They all brought books from home to begin stocking shelves. The free lending library draws at least 15 youngsters and adults a day, and Ali hopes that number will grow via social media and word of mouth. She and other founders plan to install public internet as soon as their budget permits. Ifiye – open from 7 a.m. to 5 p.m. daily except Fridays, the Muslim holy day – also hosts a book discussion every Wednesday as well as occasional debates. “We don’t do any political debate because we don’t want to jeopardize our security,” Ali said, alluding to war lords and militant groups. That’s elusive in Somalia, a country with a rich oral tradition but limited literacy. 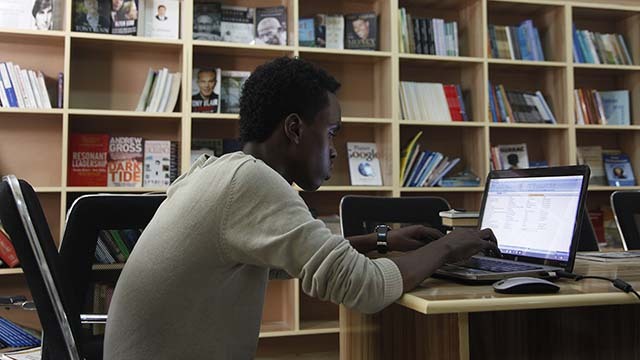 Only three in 10 Somalis can read and write, the United Nations estimates – and the rate is even lower among those who were young when the civil war raged and the public school system fell apart. Now, relatively few youngsters attend school. Just 710,000 of an estimated 1.7 million primary school-age children were enrolled during the 2011-12 academic year, the Somali government reports (PDF). That’s a dismal 42 percent – one of the world’s lowest. Even when they do, they may be deterred by lack of local school services, comparatively high costs or displacement by drought or conflict. 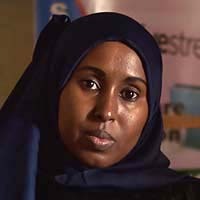 Somalia’s outgoing education minister acknowledges major obstacles. “Unfortunately, the government … has not had a very large economic base that would raise the revenue to sustain the kind of public education system that the country needs,” said Abdulkadir Hashi, who took office in June after several other political posts. 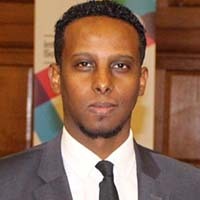 His successor in Somalia’s next administration will face the same challenge he did, which is to rebuild the public school system “so we can bring more access to the classroom.” Hashi said his government was working to improve teacher training and curriculum, among other things, and noted that last fall’s five-year $65 million education grant from the U.S. Agency for International Development held promise. More and better education likely will improve young lives and, amateur librarian Ali insists, deter fighting. 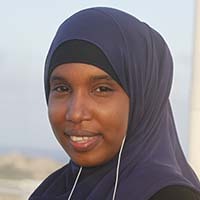 In the midst of war-torn Mogadishu, young Somali men and women have taken to their mobile phones to engage and connect with one another on social media. This project explores internet freedom and how its availability, or restrictions, affect individuals. It’s a joint initiative by Radio Free Europe/Radio Liberty, Middle East Broadcasting Networks, Voice of America, Radio Free Asia and the Office of Cuba Broadcasting. They’re overseen by the Broadcasting Board of Governors. Voice of America provides trusted and objective news and information in 45 languages to a measured weekly audience of more than 236.6 million people around the world. For nearly 75 years, VOA journalists have told American stories and supplied content that many people cannot get locally: objective news and information about the US, their region and the world.